The Prisoners' Dilemma focuses on the concept of cooperation. Based on a classic scenario, it explores notions of trust and loyalty; betrayal and defection. Two men are arrested. The police want to charge one of them with a serious crime but they have no firm evidence against either of them. So they try to get one to accuse the other of the crime. They do this by threatening each man in turn with imprisonment if they do not cooperate. The dilemma for each prisoner is should they inform on their friend and avoid jail or should they resist and stay loyal; self interest and betrayal or loyalty and sacrifice. 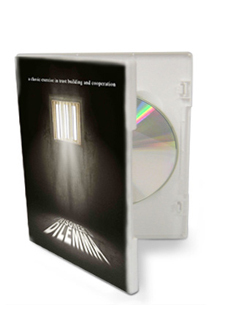 The prisoners must make a choice, a choice that may affect them for the rest of their lives.